Enjoy Your Purchased Music Anywhere! You have purchased lots of music from iTunes and other online music stores, but want to play your music with other mobile devices, such as MP3 player, android devices, Samsung phones? You got the right place! 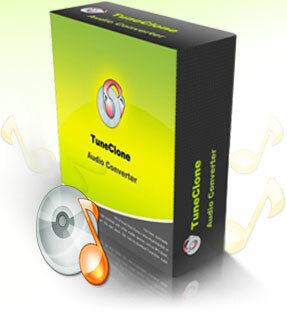 Click here to download TuneClone M4P Converter and get your protected music files converted. Just with a few mouse clicks you can play all your purchased songs on any MP3 player devices - without any restriction. TuneClone is fully compatible with Windows 10/8/7, Mac OS and works with the latest iTunes 12. You cannot play music tracks purchased from iTunes Store on your own mobile devices other than iPhone,iPad or iPod. However you can burn the music files to CD-R/RW disc to make an audio CD and then use CD ripper software to convert the audio CD track back to MP3, WAV, WMA, etc. TuneClone M4P Converter simulates the Burning, Ripping and Encoding process by installing a virtual CD burner. All you need to do is to burn your playlist with iTunes to TuneClone's virtual CD Burner, and TuneClone will convert music files in the playlist to MP3, WMA or WAV files automatically. 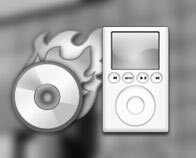 Convert iTunes music via virtual CD burning. You can play the converted music files with Media Player or any MP3 players including Zune, Cell Phone, Pocket PC, PDA, etc. Preserve ID3 tags for artist, album, title, artworks, etc. Converted songs have NO restriction anymore. Easy to install and easy to use with a very handy and clear user interface. Batch convert a large collection of music files. TuneClone runs on Windows 10,8,7, Mac OS and supports almost all the media players that let you burn audio CDs, including iTunes, Windows Media Player, RealPlayer, RealOne, WinAMP, Napster, Rhapsody, etc. With just a few mouse clicks you can enjoy all your purchased songs on any MP3 player devices without any restriction.